Posted by admin in activity reports, Iceland, Katla. Following the short sharp glacial meltwater flood at Mýrdalsjökull, which was significant enough to breach the main highway, wash away a bridge and cause local evacuations, things seem to have settled down somewhat around Katla volcano. There have been no further floods and tremor under Katla has declined, although there has been a small earthquake swarm under the southern part of Katla caldera this evening (which is nothing unusual). The alert and access restrictions which were imposed by the civil protection authorities this morning have been eased except for Mýrdalsjökull itself which remains off-limits. At the moment it is still not clear whether or not eruptive activity from Katla was responsible for the flooding, but there is certainly no evidence of eruptive products such as ash at the surface, and there has been no seismic evidence of eruption. IMO seismologist Bryndis Brandsdottir is quoted in IceNews as describing the seismicity at Katla last night as ‘small … not unusual in any way’. This morning’s glacial outburst may have very well have nothing to do with any eruptive activity at Katla at all; and if it does, it may be an isolated event; or it may be a sign that a large-scale eruption is indeed on the way. There are no signs that this is the case at the moment. Leave the last, expert, word on today’s event to volcanologist Dr Erik Klemetti: ‘When Katla does decide to not hide its eruptive activity, we are likely to expect something fairly large, in the VEI 3-5 scale. However, at this point, this is no indication that Katla is headed towards a major eruption’. Only it’s not quite the last word in this post, because it’s time to bash the media again. Agence France Press (AFP), which did not exactly cover itself with glory in its coverage of last week’s Hekla non-event, has produced another over-excited report on the subject of Katla, in which a clear tension is discernible between the journalistic bias towards the urgent, the dramatic and the scary, and the factual and low-key comments of officials and scientists quoted. Thus while for AFP the glacial burst is a ‘massive flood of meltwater’ and a ‘giant flood’ which ‘sparked fears of an eruption at Katla’, IMO volcanologist Evgenia Ilyinskaya describes it as an entirely normal case of ‘glacial meltwater runoff from underneath the glacier’, probably produced by geothermal heating, with no evidence so far that an eruption was responsible: ‘While we can’t say for sure there was not a small subglacial eruption that caused it, we don’t see any signs of it coming up to the surface’. Having thus used expert assessments to put a lid on their own speculation about a Katla eruption, AFP blow it right off again by using our old friend overdue: ‘according to experts, the volcano, which is also located to the southeast of Grimsvoetn which was behind Iceland’s latest eruption in May, is overdue for a powerful blast’. Volcanoes, we are given to understand, run to a timetable, and this one is late. If you’d like to see what an overdue volcano looks like, try the RÚV Katla webcam. A possible small eruption under the Mýrdalsjökull ice cap in south Iceland has produced a surge of glacial meltwater, a jökulhlaup, which has caused flooding and cut the main road through the area. A bridge has been swept away, and local evacuations are apparently taking place. The jökulhlaup may be the result of a small eruption at Katla volcano, which lies beneath Mýrdalsjökull, or it could be the result of geothermal activity. Katla ‘is one of Iceland’s most active and is a frequent producer of damaging jökulhlaups, or glacier-outburst floods’, notes the Global Volcanism Program. A small gallery of pictures of the glacial flood and resulting damage can be found at Vísir (thanks to Jón Frímann for the link). UPDATE. The flood appears to be subsiding. Cracks have been observed in the glacier in the area from which the flood emerged, but no signs have been found indicating that an eruption of Katla has taken place, reports Iceland Review. The possiblity of eruptive activity cannot be ruled out, however. The Icelandic authorities have said that tourists are safe, despite the inconvenience of the main road around the island being breached, as long as they keep out of ‘the defined danger zone at Mýrdalsjökull and the Mýrdalssandur plains’. There is a Katla webcam at RÚV. … geophysicist Páll Einarsson said in interview with IceNews today that the current volcano scare is simply made up: “They are actually quoting me as saying that Hekla will erupt soon; but there is nothing new in this. I’ve been saying this for three or four years and ‘soon’ means different things to journalists and geologists,” he said. Páll Einarsson has some particularly harsh words for the British press, accusing them of ‘sensationalist journalism’ and ‘making sensational stories about Hekla based on nothing at all’. The British media, sensationalist? making stuff up? not interested in the facts? Good heavens, what a shocking idea. ‘Hekla is known for its extremely varied and hard-to-predict eruptions’, says the Daily Telegraph. It is also known for not being by the sea. Erik Klemetti has a nightmare. It’s called ‘the way the media reports volcanoes’. Click here to read Erik’s high-class rant about the recent crop (e.g., see above) of volcanic misreporting. A new abomination from Canada’s CBC gets a particular and richly-deserved pasting. Posted by admin in activity reports, Hekla, Iceland. The global news machine showed much interest in Hekla yesterday, but little interest in getting the facts right, or indeed the volcano right. Many supposedly reputable news outlets followed AFP’s lead and boldly illustrated their reports on Hekla with a picture of Eldfell, which is many miles to the west on Heimaey Island. AFP even labelled their picture of Eldfell ‘The Hekla volcano on Heimaey Island’, for pity’s sake. You’d think the presence of the sea in the picture of Eldfell would have given it away, Hekla being some distance inland, but apparently not. To help journalists and editors get it right I’ve provided pictures of the two volcanoes above, and obtained the assistance of a passing seven-year-old in providing labels so clear that even Daily Mail journalists will grasp the difference. There was considerable interest in Hekla yesterday, but media speculation notwithstanding, all is quiet there today and the activity appears to be subsiding. Hekla is closely-monitored and we’ll be as well-informed about what it’s doing as we are about any volcanoes anywhere. In the meantime, it’s best not to jump the gun and read too much into every episode of seismic restlessness. The forecasting of volcanic eruptions is fraught with uncertainty. Volcanoes, unlike earthquakes, generally give some signal of their intentions in the form of seismic activity, inflation, gas emissions and so on, but working out what those signals mean is no easy matter, and even the most sophisticated analysis of the widest possible range of data can never do more than reduce the level of uncertainty, it can never remove it altogether. Likewise, a particular volcano’s history is an important guide to current and future behaviour, but no matter how full and detailed our knowledge of a volcano’s past may be, it is not an infallible guide to that same volcano’s future. Significant patterns can emerge from the records we have of a volcano’s previous activity, in terms of eruptive style and periodicity, but they can never be more than indicative. You can’t say, for example, that because volcano ‘A’ turns out to have erupted roughly every ten years since 1970, and it is now 11 years since its last eruption, that a big bang is imminent. Nor can you argue that because the geological record for volcanic field ‘B’ shows eruptive activity about every 2000 years and it is now 5000 years since we last had a peep out of it, it is ‘overdue’ and we should be worried. Human beings like patterns, and we particularly like periodicity: it provides a structure for our understanding of the past, and we like to use it to make some sense of the future too. But it has to be considered alongside other evidence and cannot offer anything but a set of pointers. For volcanoes a knowledge of the chronological pattern of activity only gets us part of the way to understanding what is going on at any given moment, and what is likely to happen within the next month, year, decade or century — and it can never be definitive. Hekla has a volatile history and is active and restless, and will erupt again, but we do not know when: it could happen tomorrow, or next year, or in ten years or twenty (there was a gap of 23 years between the 1970 eruption and its predecessor in 1947, and 57 years between that eruption and the one before that in 1913, so the ten-year cycle is a pretty recent development anyway). It is not ‘overdue’. Nor is it ‘ready to erupt’:* we’ll know when it is ‘ready to erupt’ because it will then erupt. * Did Páll Einarsson actually use this phrase? And if he did (in Icelandic), has the meaning he intended been faithfully reproduced (in English translation) by the news sources that have seized upon the phrase? In the past Dr Einarsson has not always been well-served by the way his comments have become distorted in translation or otherwise misrepresented: see examples from October 2009 and February 2011. ‘The movements around Hekla have been unusual in the last two to three days and have been recorded in five very precise metres placed around Mount Hekla’, University of Iceland expert Pall Einarsson said, adding that while this might not necessarily mean an immediate blast, the volcano is ready to erupt’. There’s coverage of the situation at Hekla at Jón Frímann’s Iceland Volcano and Earthquake Blog. More news sources are given below, and a webcam view of Hekla can be found at RÚV. More news here if and when comes in. UPDATE. Many thanks to an Icelandic-speaking reader who has sent me a summary of this article from RÚV, which expands somewhat on the version being given in the English-language press. 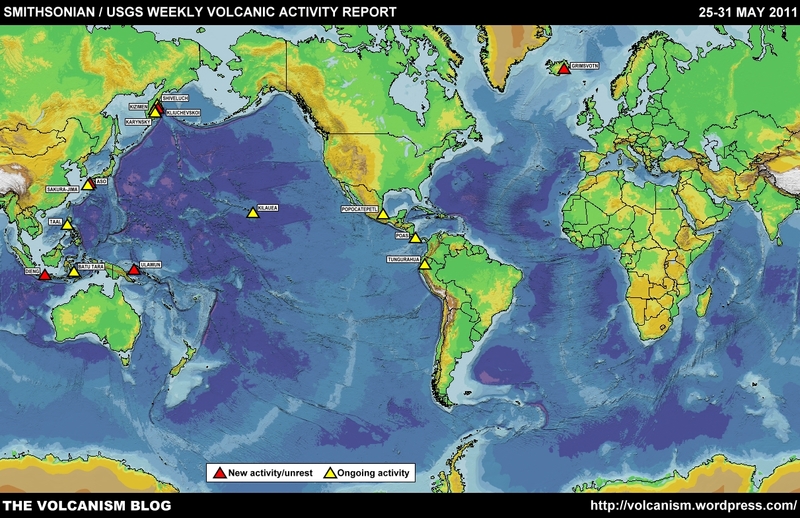 Páll Einarsson is quoted as saying that it is not possible to conclude on the basis of the seismic data that an eruption is imminent, but that the signs of magma movement beneath the volcano are clear and that the volcano is ‘ready to erupt’. Inflation has been taking place at Hekla for some years, says Einarsson, and the volcano has in fact been building up to a new eruption ever since the last one (which was in 2000) came to an end. My informant adds that the Icelandic public safety authorities have said that there is no need for people living around Hekla to take any action as yet. She lives fairly near Hekla, and is watching developments closely. It has to be pointed out that whatever Hekla’s seismicity may have been like over the last two or three days, things are very quiet around the gateway to hell at the moment, according to the IMO’s seismicity pages. AND MORE. Describing Hekla as ‘ready to erupt’ might not be the best way to put it, reflects Dr Erik Klemetti as he puts the current Hekla flurry into context at Eruptions: ‘The million dollar question is how we can interpret these volcano monitoring data – is the volcano going to erupt tomorrow, next week, 5 years from now? Unfortunately, we just don’t have the experience yet to know what the changes being seen at Hekla mean in terms of the timing of an eruption’. Posted by admin in anniversaries, Iceland, Laki, on this day. On 8 June 1783 a fissure eruption began across the flanks of the Laki volcanic mountain ridge in south-eastern Iceland. The Laki (or Lakagígar) eruption lasted until 8 February 1784: approximately 27 km of fissures ultimately opened, and 14.7 cubic kilometres of lava were erupted. This was a huge volume of material, but the lava did not itself directly cause any deaths. Much more deadly were the gas emissions (PDF) produced by the eruption. The Laki eruption released vast quantities of gas into the atmosphere: the majority was water vapour, but an estimated 10% is thought to have been composed of carbon dioxide, sulphur dioxide, hydrogen chloride and fluorine. A dry fog hung over Iceland, the North Atlantic and parts of adjacent land masses for weeks. The 50 million tonnes of sulphur dioxide combined with atmospheric water vapour to form sulphuric acid aerosols, and the resulting acid rain poisoned the soil and destroyed the grazing upon which Iceland’s livestock depended. Animals died in their tens of thousands, and the people followed: by the end of 1785 over 10,000 people had died, perhaps one-fifth of Iceland’s population, 9 out of 10 from famine. Nor were the effects limited to Iceland: the acidic haze erupted from Laki spread to Britain, Ireland and continental Europe, bringing fogs, acid rain, violently disturbed weather patterns and unseasonable temperatures, leading to damaged vegetation, failed harvests, hunger and poverty (in these circumstances, the French Revolution was inevitable). Beyond Europe, populations as far afield as North America, Egypt and Japan may have suffered the meteorological and economic consequences of the seven-month Laki eruption. UPDATE. More on Laki 1783 from the fascinating History of Geology blog: 8 June 1783: the Laki eruptions.